The Daily Herald neighbor section is intensely local. 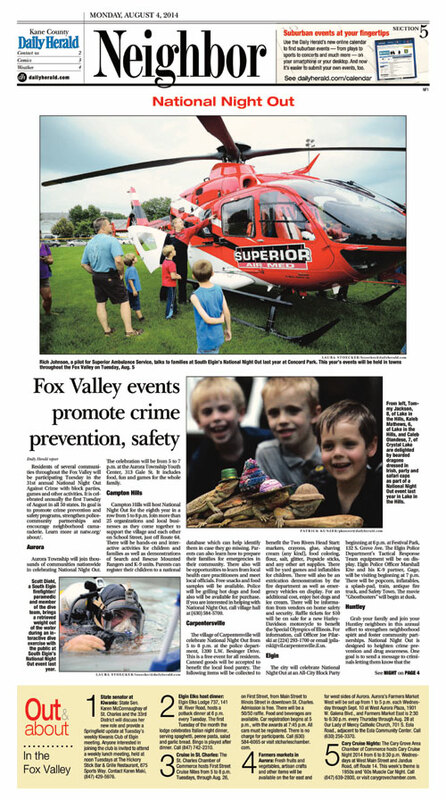 Zoned by area to provide readers relevant news from their own towns and suburbs, the neighbor section is lively with feature stories, local businesses, school and community news, and local government and township information. Click here for other Daily Herald sections!